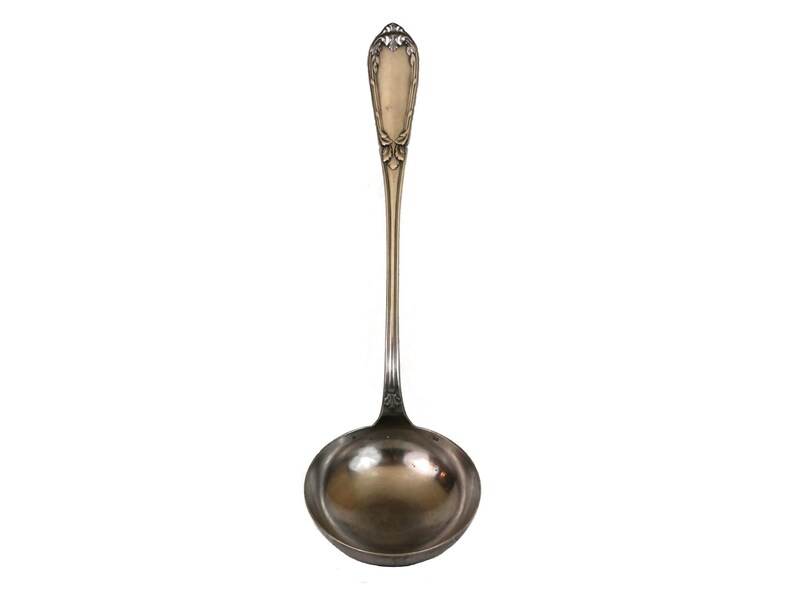 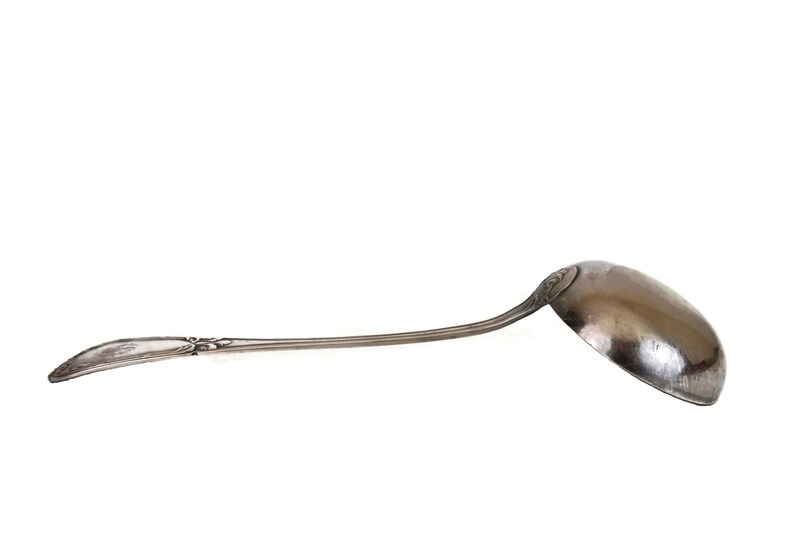 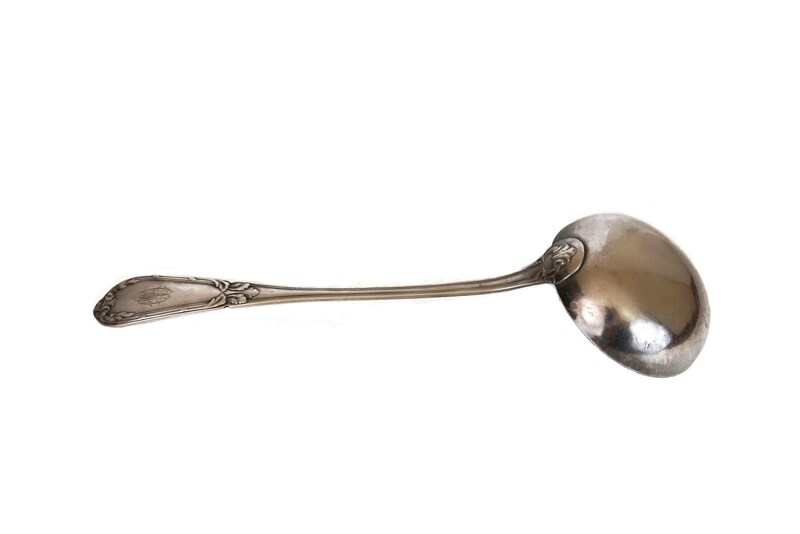 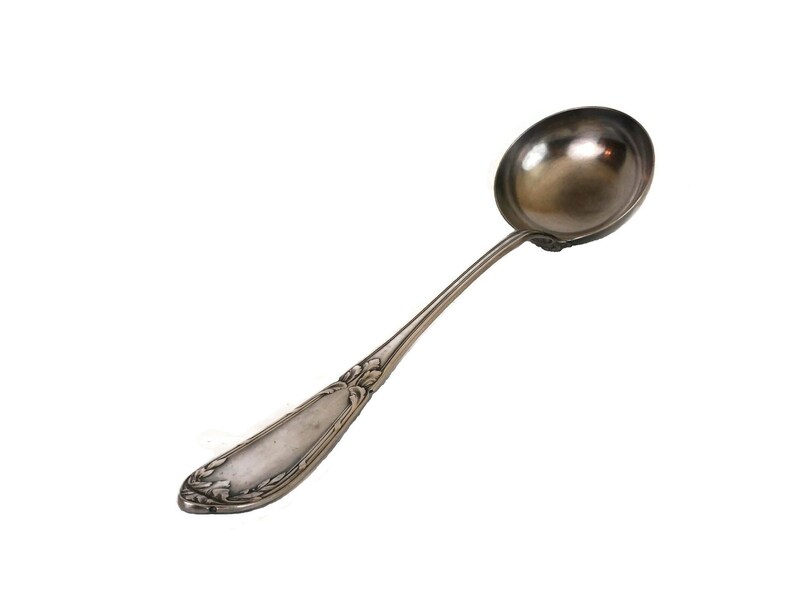 An elegant antique French silver plated soup ladle dating from the late 1800s. 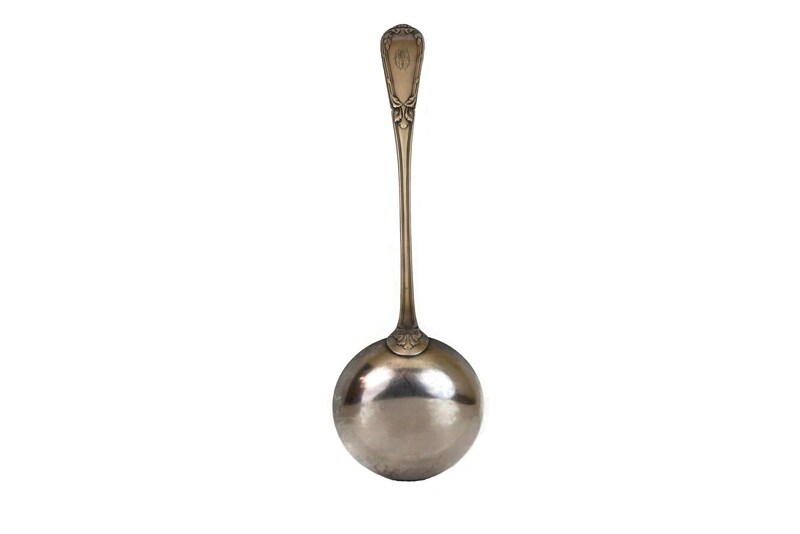 The large serving utensil has been made from silver plated metal. 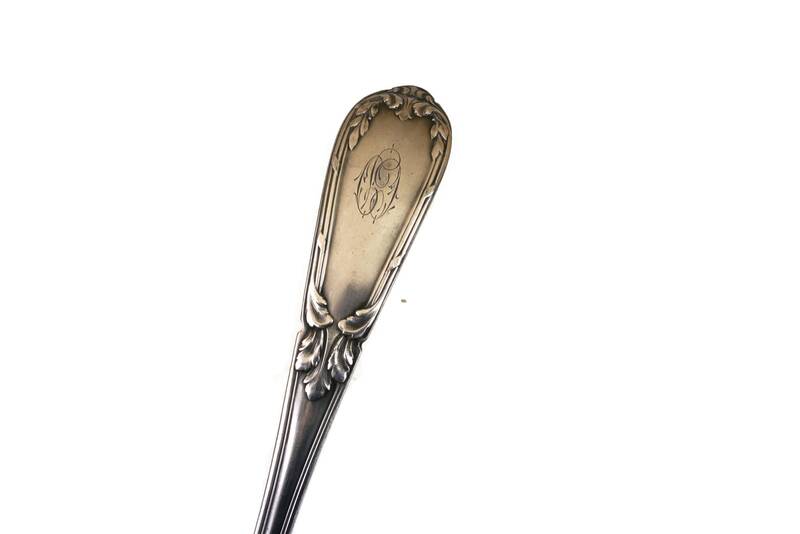 The ladle has a large bowl and an handle which has been engraved on the underside with beautiful monogram initials "CD". 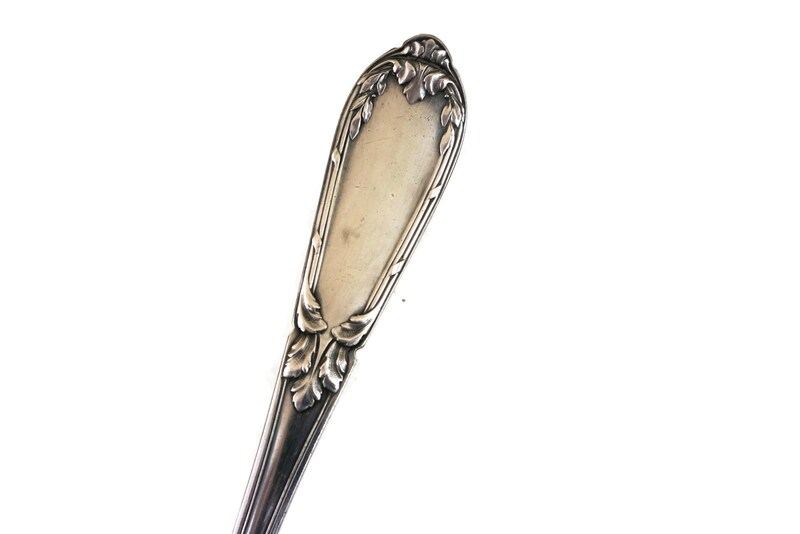 The handle has also been decorated with a classic acanthus leave pattern and stamped with the silver plated maker's mark ("Métal Blanc" and "COP 12 gr). 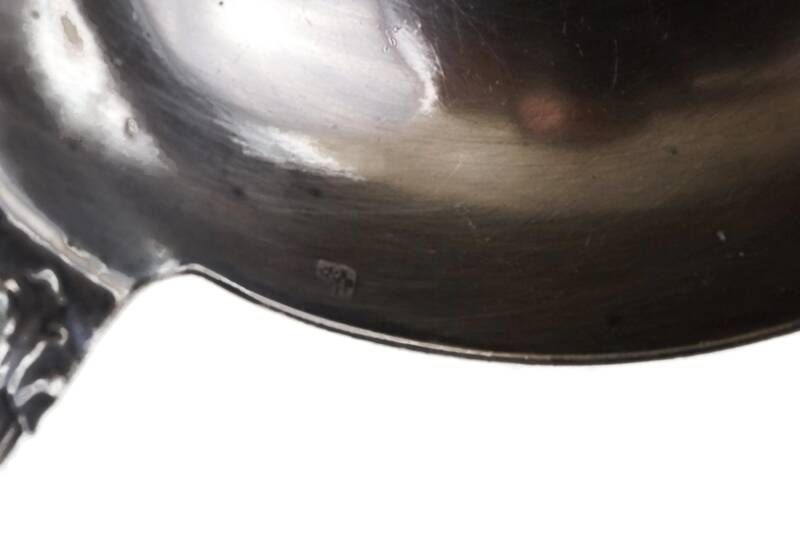 13" Long x 3.5" Diameter for the bowl (33 cm x 9 cm). 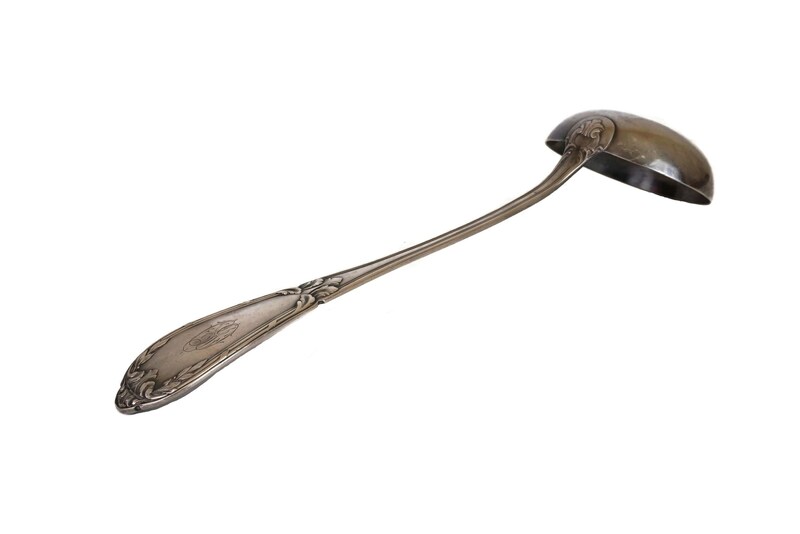 The antique soup ladle is in very good condition with some scratches and light tarnishing to the silver. 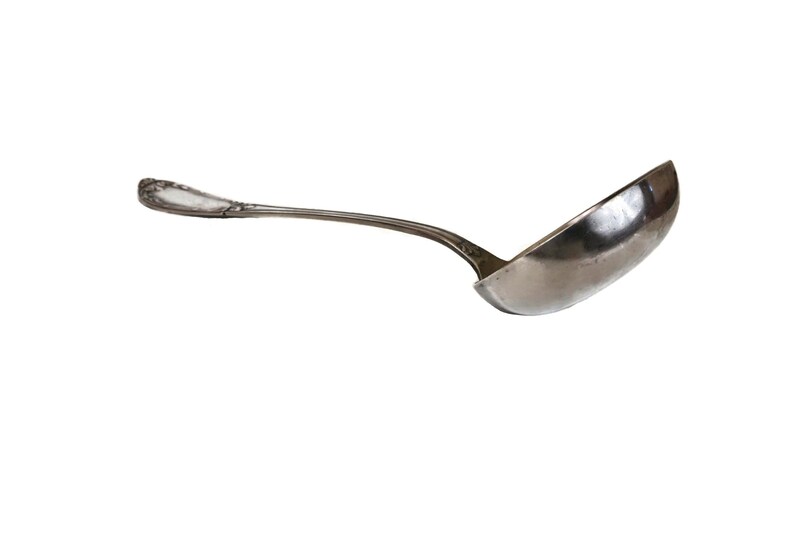 There is no plating loss.